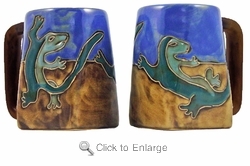 If you enjoy geckos, this Mara Gecko Square Bottom Coffee Mug is just another example of Mara's artistic designs. She has also placed Geckos. 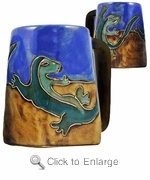 on her round stoneware mugs. Either one would make a great gift choice.